For this short course the best training circuit to use is the GPIC28sov6 shown in the picture. You will also need a PICkit3 or P205 programmer, the 100 page book, and our BMP280 software library. Ideally you will already have some experience, but the book does start with essential PIC C revision. Then we study the BMP280 and learn to set up SPI serial communication between the PIC and the BMP280. 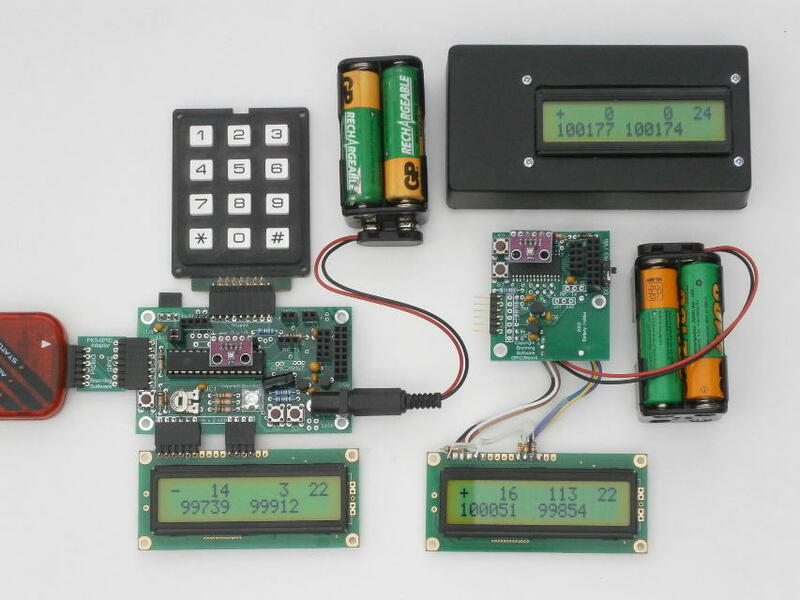 We experiment with code to read and display the ID, raw temperature and calibration data. We use this data to calculate the temperature then expand this to include air pressure. Air pressure reduces if we walk up a hill. We use this fact to calculate and display height gained. Then we edit the code to display the total height gained when walking in hilly countryside. 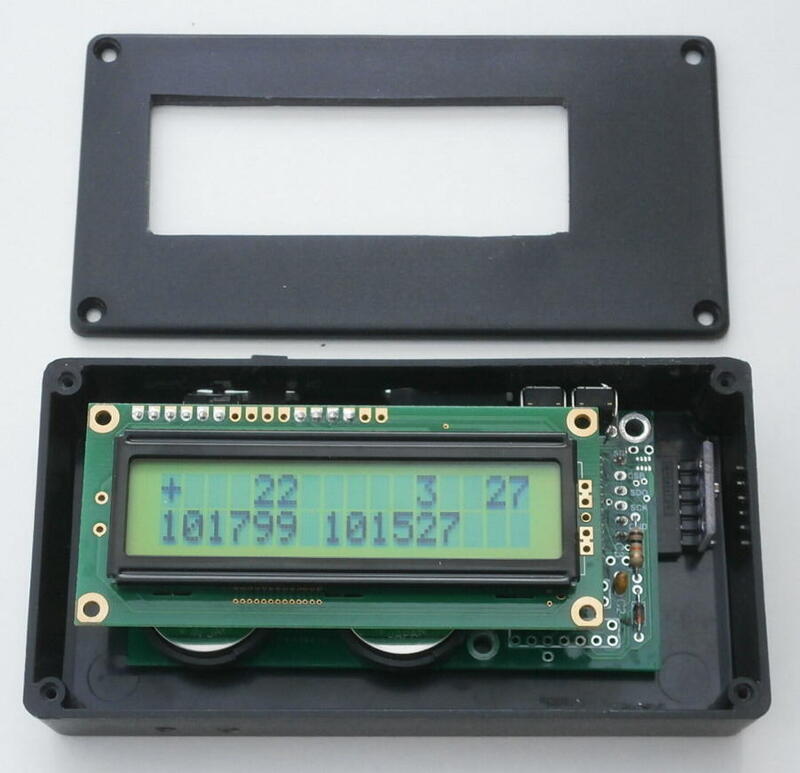 The LCD plugs into the GPIC28sov6 as shown in the picture. 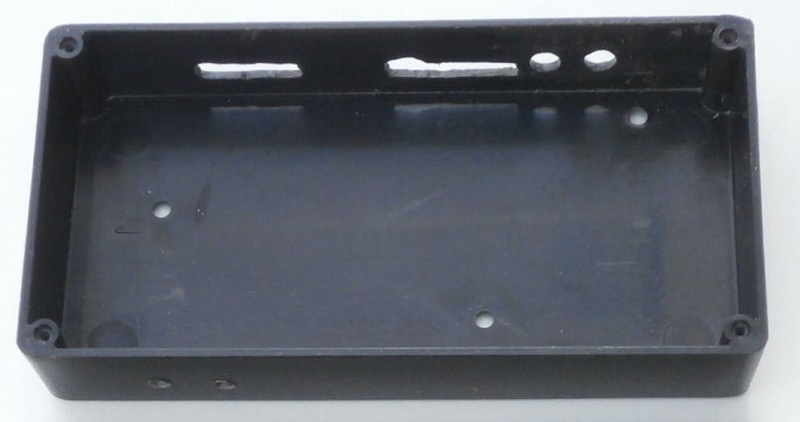 If you wish to fit the circuit into a box we can supply a suitable box but you will need to drill and file as necessary to make the required cutouts. This cutout in the lid was marked using a pencil and ruler. 3mm holes were drilled side by side round the inside of the oblong. Side cutters were then used to cut between the holes to remove the inner section. The cutout was filed to smooth the edges using a flat file. Fit the circuit into the bottom section then fit the lid. Remember that the box MUST NOT BE SEALED. Air must be able to flow freely in and out so that air pressure can be measured. The two GPIC28 training circuits shown in this picture can be used to run the experiments in this course but are not as convenient as the GPIC28sov6. 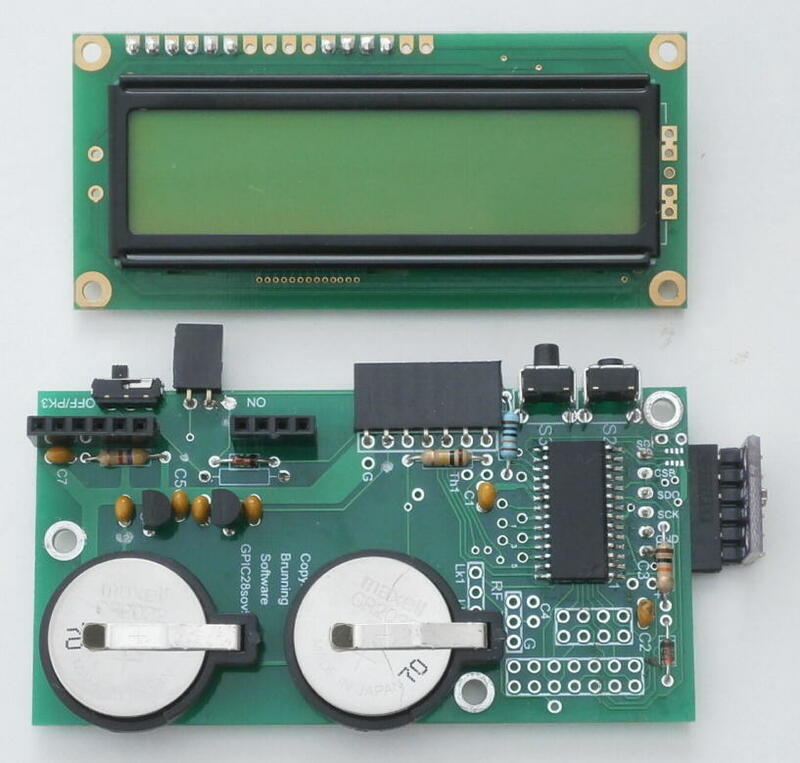 The GPIC28rfv7 on the left can also be used to run most of the experiments in our short training course Experimenting with PIR and RF Circuits. All three GPIC28 training circuits can be fitted with a 433Mhz or 2.4Ghz radio transceiver. The GPIC28sov4 on the right is designed for minimum weight. When fitted with a radio transceiver, wired without the LCD and powered from one coin cell, it is perfect for mounting in a flying machine. A training manual for experimenting with these training circuits and RF is planned for the future. GPIC28sov6 training circuit needs to be assembled and soldered. Box needs drilling and cutting. Book: Experimenting with BMP280 100 pages 240mm x 170mm. + GPIC28sov6 supplied as a kit. + Software library (sent to your email address). 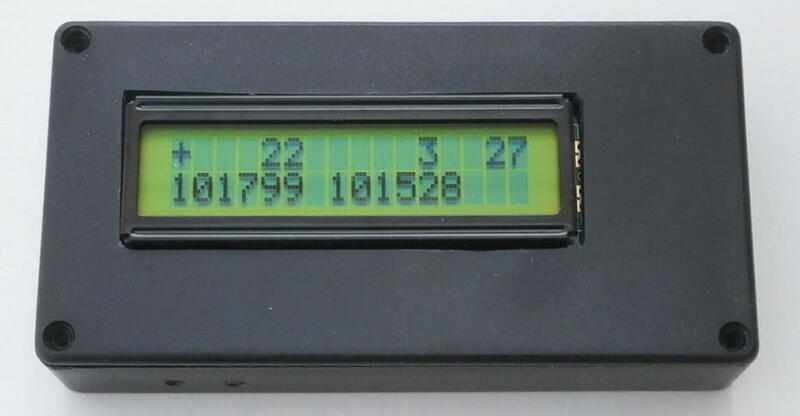 and PICkit3 (not supplied) or P205 programmer can be used. You also need to download the free Microchip XC8 compiler version 2. GPIC28sov6 supplied built & tested. Box needs drilling and cutting. + GPIC28sov6 supplied built and tested. 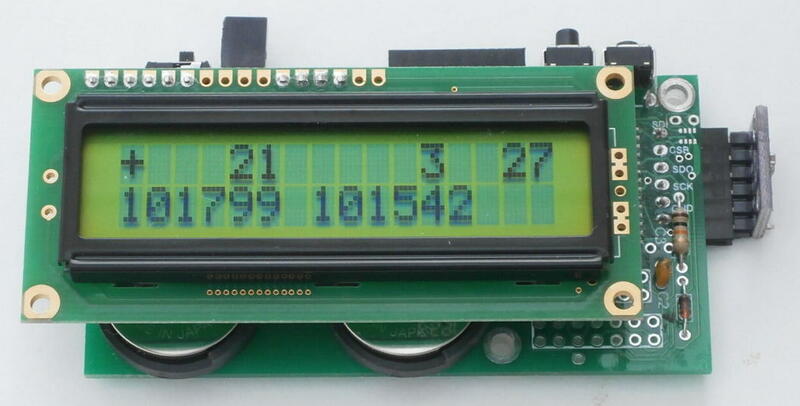 + LCD supplied with 6 and 4 way plugs fitted and soldered.